Let’s Test 2013 – Where unicorn tears are formed? Let’s Test 2013 had a lot to live up to. 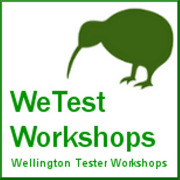 I had heard so much about the previous conference, with people confidently saying that “Let’s Test is the Best Testing Conference in the World”. After going this year, I have to say, I 100% agree. Let me explain why I had the testing time of my life. Hello all to this new testing Blog of Aaron Hodder, Brian Osman, Oliver Erlewein and Richard Robinson. Some of us have our own testing blogs but the thought here is that, since we think along the same lines and together seem to pack more testing-punch, it is natural for us to meld our minds into one blog. Our hope it is that you will be the main beneficiary of this and we can help you reflect and learn new things as you progress in your testing career and the profession in general. You will also see our twitter streams at the bottom and rhs of this blog so follow us to stay on top of things. Since STANZ 2011 is on next week in Wellington we’re rushing a bit to get this blog out the door and start reflecting on what’s happening in the scene. So please check back regularly to see new stuff.